Blame it on Di. 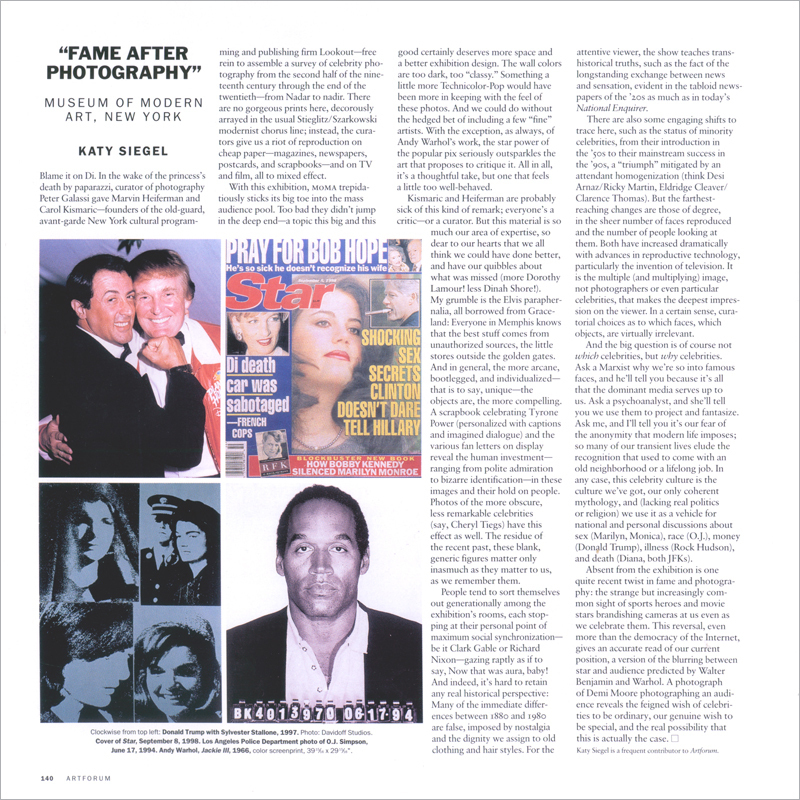 In the wake of the princess’s death by paparazzi, curator of photography Peter Galassi gave Marvin Heiferman and Carol Kismaric—founders of the old-guard, avant-garde New York cultural programming and publishing firm Lookout—free rein to assemble a survey of celebrity photography from the second half of the nineteenth century through the end of the twentieth—from Nadar to nadir. There are no gorgeous prints here, decorously arrayed in the usual Stieglitz/Szarkowski modernist chorus line; instead, the curators give us a riot of reproduction on cheap paper—magazines, newspapers, postcards, and scrapbooks—and on TV and film, all to mixed effect.